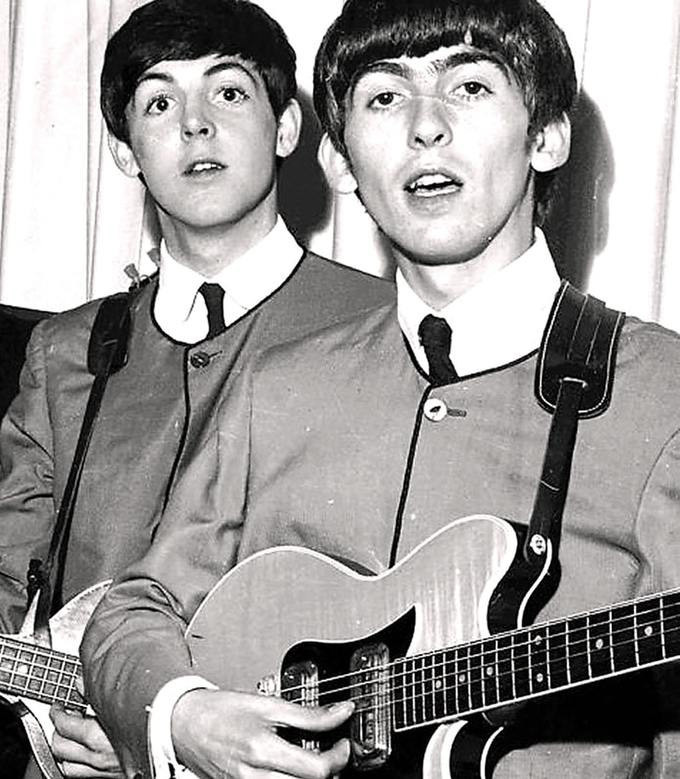 A Maton Mastersound MS-500 played by George Harrison during a string of concerts in July and August 1963—including the band's final performance at Liverpool's Cavern Club, "the birthplace of the Beatles"—sold today at auction for £280,000. The guitar was sold through the Gardiner Houlgate auction house alongside many other instruments and vinyl records. According to the UK firm's auction catalog, the Maton was a temporary replacement for Harrison's go-to guitar at the time, his Gretsch Country Gentlemen. However, even after a quick repair of the Gretsch, Harrison held on to the Maton and continued to play it for a number of shows: July 8–13 at the Winter Gardens, August 2 at the Grafton Rooms, and the band's last show at the Cavern Club on August 3. The Maton has changed hands a number of times over the years, but was most recently on display at The Beatles Story Museum in Liverpool. In 2015, it sold through Julien's Auctions for $485,000, but continued to be exhibited at the museum. The Maton was expected to reach between £300,000 and £400,000 today, according to the BBC, but fell short of even the low-end of that range. Also sold today was a 1968 Gibson ES-1250 SG-style double-neck bass and guitar used by the Bee Gees' Maurice Gibb, as well as a Martin electric guitar prototype owned by Steve Howe. The ES-1250 fetched £7,000, while the Martin fetched £1,500.